It’s raining again. Like the winters of my childhood. But my head has changed and is covered in scars. It’s not as light as it used to be. It’s raining. A shower of the Imam’s heavy words falls on my head from the nearby minaret. The last Friday in January isn’t a regular day in my room. Inside the TV, streets are flooding with colorful drops of people, stones, and barricades. Every now and then a barrage of bullets thunders, along with the lightning of Molotov cocktails. The call for prayer gets louder along with my headache and I start diving and diving in search of the child/myself buried under layers and layers of betrayal. “The people. Want. To bring down the regime.” The rain shouts as it becomes a stream that slides down the asphalt road and sinks down a drain right above my head. I feel cold and don’t dare to reach out from under the covers to change the station. My hand would freeze on the way, then rot and fall off. Stones and spit and political analysts and speeding cars running over demonstrators and conspiring friends and groups of worshippers buying vegetables outside the nearby mosque their cars blocking the street and an official motorcade complete with sirens emptying the city and I am cold. I will lose my hand. I said: I will lose my hand. Trrrrrnnnn. Trrrrrnnnn. Trrrrrnnnn. Stones and spit and political analysts and speeding cars running over demonstrators and conspiring friends and groups of worshippers buying vegetables outside the nearby mosque their cars blocking the street and an official motorcade complete with sirens emptying the city and I am cold. How will I find that child/myself? How? The television is on fire, and history isn’t being made on this couch. The television is on fire, and the remote control doesn’t change history. The television is on fire, and I am here, in front of it. Editorial note: This story was published in Arabic in The Perception of Meaning (Beirut: Dar al-Adab, 2012). Hisham Bustani (b. 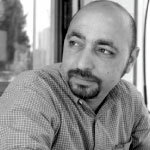 1975, Amman, Jordan) writes fiction and has three published collections of short fiction: Of Love and Death (2008), The Monotonous Chaos of Existence (2010), and The Perception of Meaning (2012). The German review Inamo has chosen him as one of the Arab world’s emerging and influential new writers, translating one of his stories into German for its special issue on “New Arab Literature” (December 2009, www.inamo.de). Acclaimed for his contemporary themes, style, and language, he experiments with the boundaries of narration and poetry. 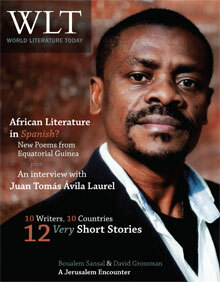 He was recently featured in the March/April 2012 issue of Poets & Writers. 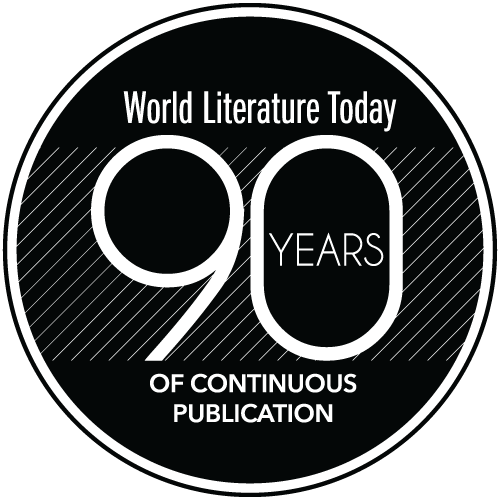 Very Short Fiction 12 x 10 x 10 (twelve stories by ten writers from ten different countries), along with a cover feature on Equatorial Guinean literature.